Delboy's Radio Blog: President McKinley EU??? A search around the net uncovered the image above which appears to show the radio with FM and the EU name. It's probably a mock-up but with some small changes the radio could be developed for UK/EU use. 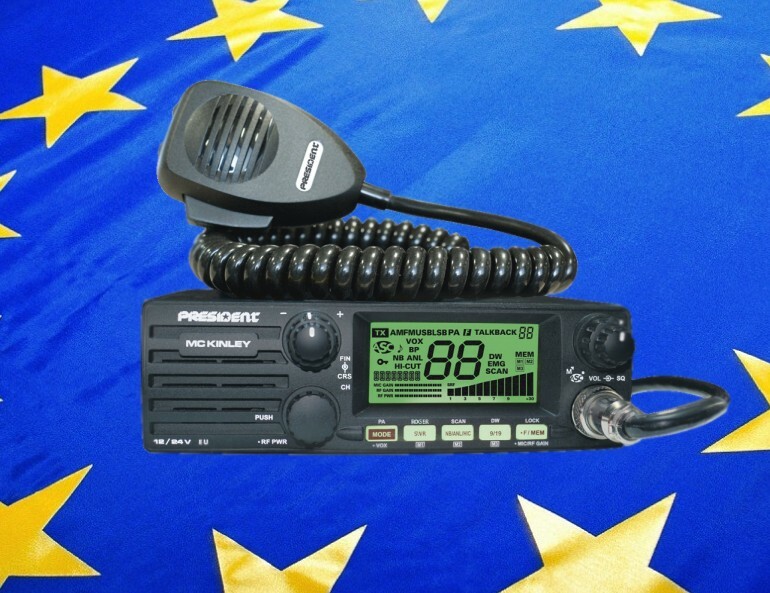 All that is required is the addition of FM Mode and the ability to switch between the EU CB Radio standards (Multi-Norm). Weather channels would need to be removed of course as they do not function outside the USA. Would you like to see an EU version of the President McKinley??? Video: DV4mobile - More Information! Sunday DX In The UK! Mac 'The Seahawk' / 26DT043 - R.I.P. New President Trump CB Radio?